NOW SHIPPING! Professional A/V presentation and conferencing camera. Simultaneous HDBaseT and IP (H.264) streaming. 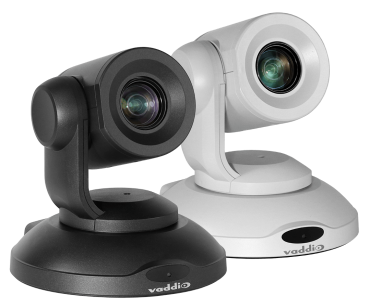 Recommended for conference rooms, training rooms, and classrooms that require a wide angle of view. Available with OneLINK Extension Systems. NOW SHIPPING! Professional A/V presentation camera. Simultaneous HDMI, 3Gb/s HD-SDI, and IP (H.264) streaming. 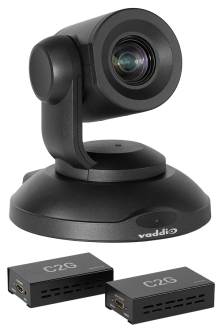 Recommended for conference rooms, training rooms, and classrooms that require a wide angle of view. NOW SHIPPING! Cost-effective professional HDMI conferencing camera. 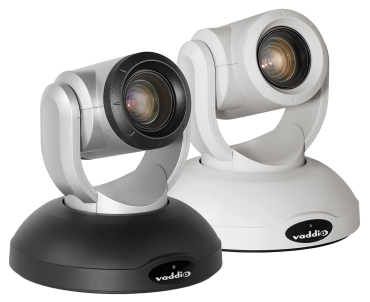 Recommended for conference rooms, training rooms, and classrooms that require a wide angle of view. Professional conferencing camera. Simultaneous HDMI, IP (H.264) streaming, uncompressed USB 3.0 streaming. Recommended for conference rooms, training rooms, and classrooms that require a wide angle of view. NOW SHIPPING! 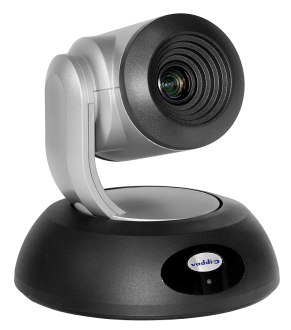 Professional camera for conference rooms, training rooms, and classrooms that require a wide angle of view. Select the appropriate Quick-Connect interface for the distance and connectivity needed for your installation. NOW SHIPPING! Used only with the AV Bridge MATRIX PRO. This professional camera is designed to be powered by the AV Bridge MATRIX PRO and cannot be used as a stand-alone camera. It is suitable for conference rooms, training rooms, classrooms, and other spaces requiring a wide horizontal field of view. NOW SHIPPING! Professional A/V presentation camera. Simultaneous HDMI, 3Gb/s HD-SDI, and IP (H.264) streaming. Recommended for large meeting rooms, lecture halls, and houses of worship. NOW SHIPPING! Cost-effective professional HDMI camera. Recommended for large meeting rooms, lecture halls, and houses of worship. NOW SHIPPING! Professional camera for large meeting rooms, lecture halls, and houses of worship. Select the appropriate Quick-Connect interface for the distance and connectivity needed for your installation. COMING SOON! Professional conferencing camera. Simultaneous HDMI, IP (H.264) streaming, uncompressed USB 3.0 streaming. Recommended for conference rooms, training rooms, and classrooms that require a wide angle of view. Professional A/V presentation and conferencing UHD camera with pristine image quality. Simultaneous 3 Gb/s HD-SDI, HDMI, HDBaseT, and IP (H.264) streaming. Recommended for large meeting rooms, lecture halls, and houses of worship. 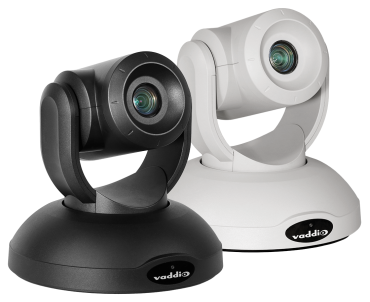 The Vaddio ClearSHOT 10 USB is now the Vaddio ConferenceSHOT 10 - same great product, now part of our new ConferenceSHOT Product Family. 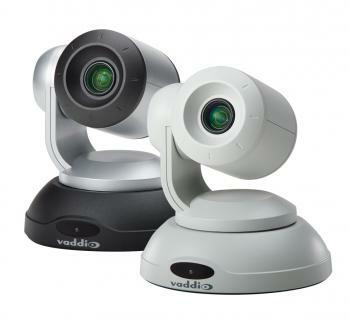 Vaddio’s PrimeSHOT 20 HDMI HD PTZ camera offers high definition performance at an outstanding value. Cost-effective professional A/V camera. Simultaneous HDMI, S-Video, and IP (H.264) streaming. Recommended for large meeting rooms, training rooms, lecture halls and houses of worship. Cost-effective professional PTZ camera bundled with an HDMI Extender. Simultaneous HDMI, S-Video, and IP (H.264) streaming. Recommended for large meeting rooms, training rooms, lecture halls and houses of worship.